A Teen Tried To Shoot Queen Elizabeth In 1981, Intelligence Report Says : The Two-Way At the time, New Zealand officials suggested to journalists that the bang of the teenager's gun was a sign falling over or firecrackers going off. Queen Elizabeth ll and Prince Philip wave to well-wishers in October 1981 in Wellington, New Zealand. It was on that trip that the apparent assassination attempt occurred. New Zealand police say they are re-examining an apparent assassination attempt against Queen Elizabeth II. 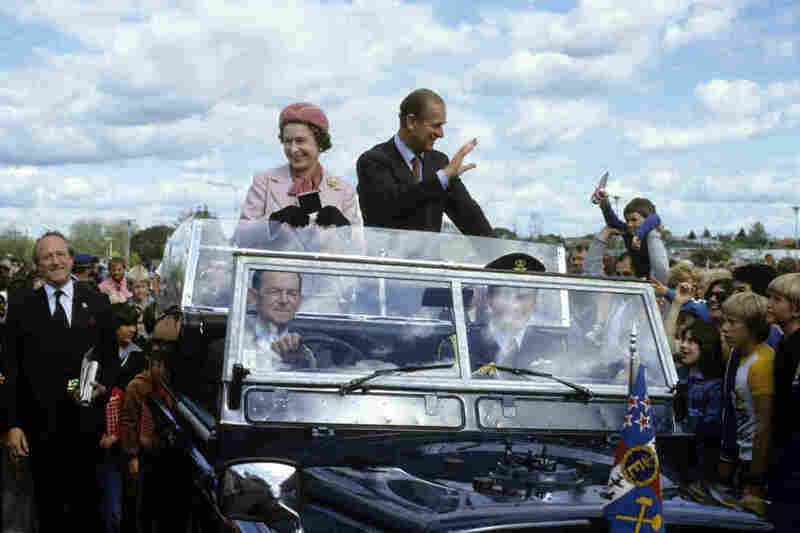 Declassified documents from New Zealand's intelligence service, newly released to an investigative journalist at the news website Stuff, indicate that there may have been a cover-up after teenager Christopher Lewis fired at the queen's motorcade in Dunedin. At the time, officials suggested to journalists that the bang of Lewis' gun was a sign falling over or firecrackers going off. According to Stuff, intelligence concluded that the bullet likely "passed high above the crowd." It's not clear how close the bullet was to the queen. The 17-year-old was never charged with attempted murder or with treason, according to the news investigation. Thursday's report is the final, unexpected chapter of a six-part series by investigative journalist Hamish McNeilly looking into Lewis and his attempt on the queen's life. The documents obtained by Stuff suggest that high-level officials sought to avoid drawing attention to the assassination attempt. For example, one early memo states that "current police investigations into the shots have been conducted discreetly and most media representatives probably have the impression that the noise was caused by a firework of some description." It adds: "There is worry, however, that in court the press may make the connections between the date of the offense and the Queen's visit." According to Stuff, authorities were concerned that publicizing the incident would lead to embarrassing cancellations of future royal visits. Further memos suggested that police paid close attention to Lewis on later visits by the queen. During a 1995 visit, the New Zealand police had Lewis take a "taxpayer-funded holiday" on Great Barrier Island, the news site reported, complete with "free accommodation, daily spending money and a 4WD." The Guardian has reported that the New Zealand police commissioner has ordered "an examination by current investigation staff of the relevant case file." The police added in a statement: "Given the passage of time, it is anticipated this examination of the old file and its associated material will take some time. New Zealand police will share the outcome of this examination once it has been completed." This is not the first time this incident has come to light, though it represents official confirmation. Former New Zealand police officer Tom Lewis detailed the apparent cover-up in a book called Coverups and Copouts, published in 1998. The alleged attacker Christopher Lewis "died in a New Zealand prison in 1997," The Guardian reported. You can read McNeilly's full investigation, called The Snowman and the Queen, here.